In Panama City, the people aren’t the only ones complaining about potholes all over the roads. The potholes themselves have had enough. 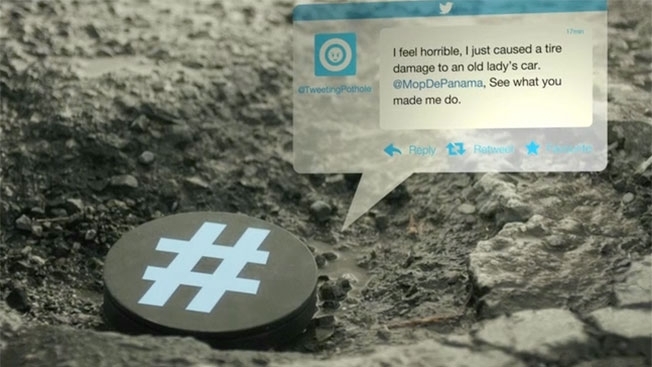 With so many streets in Panama City damaged, local agency P4 Ogilvy & Mather placed special devices in potholes that automatically tweet nasty messages at the Twitter account of the Department of Public Works whenever cars drive over them. Scores of tweets reflect on their twitter page every day indicating just how serious this issue is. The campaign was done on behalf of a Panama TV station, which said that potholes are a major problem for drivers. Well it seems the campaign worked, as it grabbed the attention of the minister of public works , who later appeared on the TV station to address the issue, which he blamed on a mix of poor construction and the failure of talks at approving the money to fix these roads. All I know is we need at least a million of these devices with the potholes we have in the city of Johannesburg alone.